She wakes up at 5:30 every morning. She makes breakfast, sends her older kids off to school, and does household chores. Then she works on her growing, small local business. She makes lunch and feeds her little baby. Then she visits her Compassion center with other mommas just like her. Then after dinner, she works late into the night. 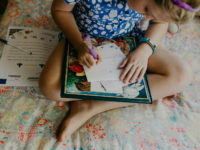 When morning comes, this hardworking mompreneur does it all over again. Wife and mother of two, Luzmeña with her daughter Dayanna outside their home in Peru. “As I didn’t finish my studies, I felt I was not able to learn anything other than just farm work, but thanks to God and Compassion, I have discovered that I am able. I have skills that I can also teach my daughters,” says Luzmeña. Luzmeña’s husband’s income as a farm laborer wasn’t enough to support their family. 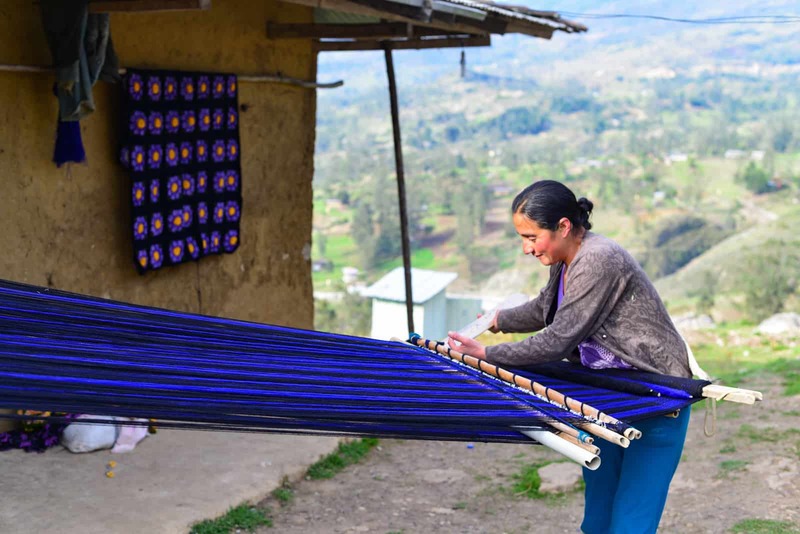 Through the life-skills courses at her Compassion center, she quickly learned how to use the loom and knit ponchos, blankets and shawls. People in her community like her beautiful work. She invests around $5 for every product and earns $10. During the week she earns $30, depending on the season. “Now I can dream, and I pray that my daughters will become great women of God. My dream for them is that they become professionals. Whatever they want to study, my husband and I are willing to help them,” shares Luzmeña with a sweet smile. 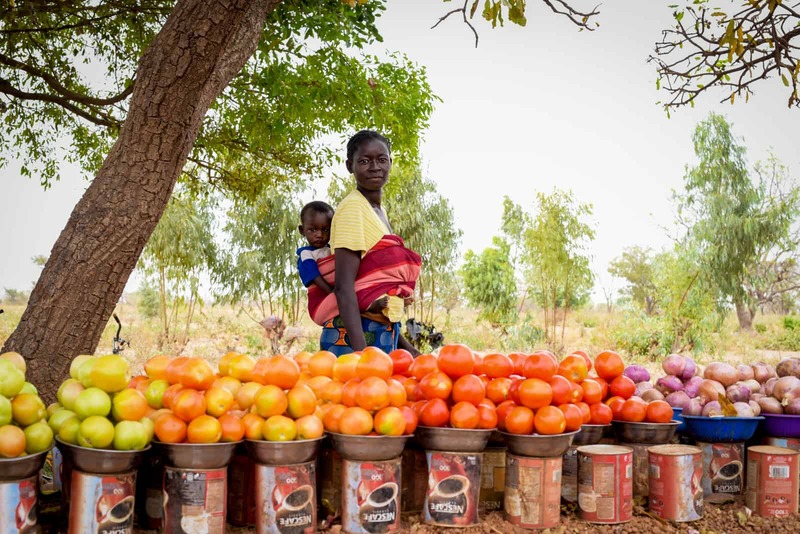 In Burkina Faso, wife and mother of five Pauline carries her youngest child Estelle on her back to run her roadside vegetable market business. Battling the odds of illiteracy, Pauline has become a self-confident, business-oriented woman. 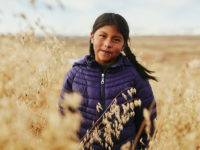 Needing to care for her five children, she saw and seized an opportunity to sell a rare item in her rural village of Passaugtenga: vegetables. “I started my petty trade with just $2. I used it to buy green peppers to resell. My profit on the first day was $3. Then, I knew I could earn at least $1 per day,” Pauline said. Pauline felt encouraged when she earned 50 percent of her investment the first day, but she worried about the sustainability of her small roadside business. Four years later, Pauline sells much more than peppers and has a dream to have her own garden someday. Having her own garden would allow her to make more money as a wholesaler and stay closer to her family. 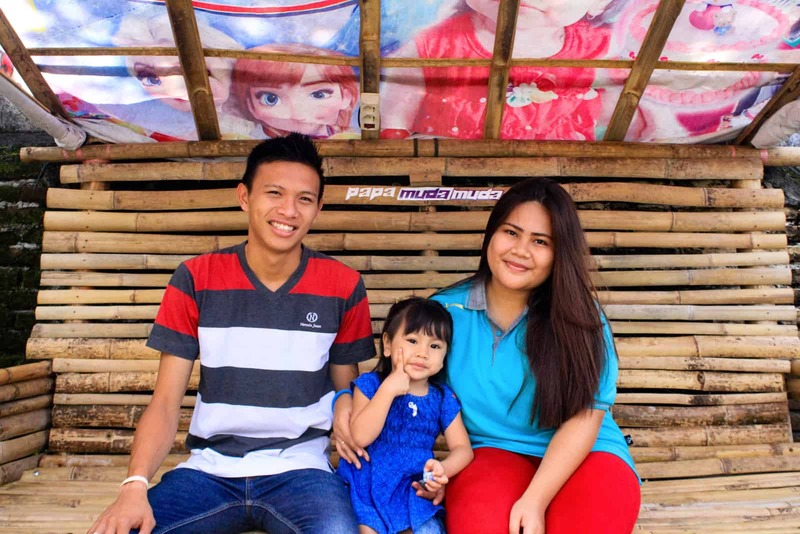 Graseldy and her husband with their daughter, Eklesia, in Indonesia. “I have a dream to be a teacher and study about law after graduating from senior high school,” Graseldy said. 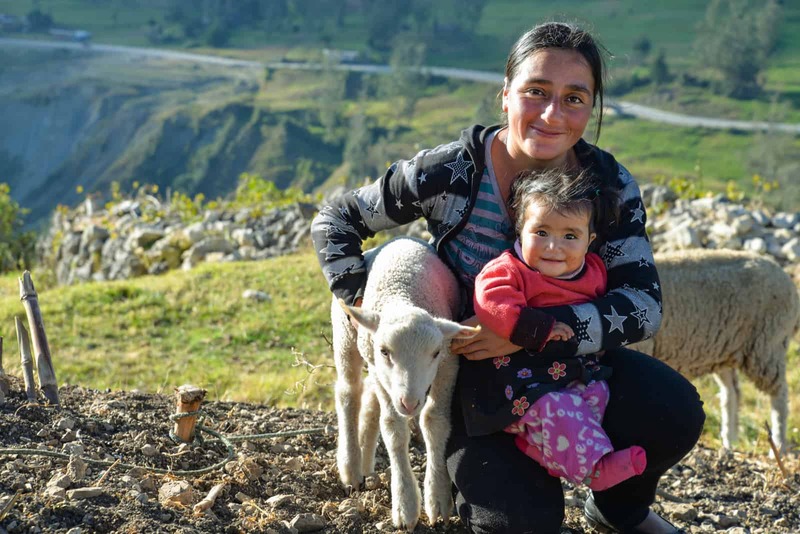 With her dream of university in front of her, she continues to raise her daughter Eklesia with her husband, study hard in school, and manage her business, three things she never dreamed she could do when she discovered she was pregnant at 14 years of age. When Graseldy realized she was pregnant, she struggled with the reality of becoming a mother at such a young age. But the staff at the Compassion center welcomed her and walked alongside her and Eklesia’s father. Out of the life-skills training courses they offered, makeup artistry is what interested Graseldy the most because she really enjoyed doing makeup for herself and others. After passing the class, she began her own business. Through word of mouth, it grew rapidly. Now, every week, she has three to five customers which provides about $144 a month for her family. 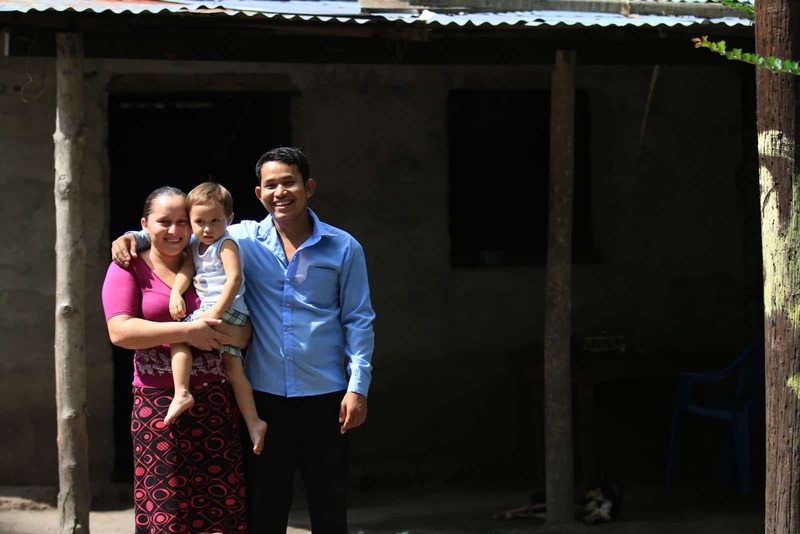 Xiomara and her husband with their son Anderson outside their home in El Salvador. “I’m thankful for all the many benefits I’ve been receiving to raise my child properly. I get a monthly basket of staples, my 2-year-old son Anderson receives a new toy quarterly, we both get our birthdays celebrated, we attend recreational outdoor activities, couples’ retreat and now, I have the blessing of being part of the bottle holder workshop,” 25-year-old Xiomara shared. The sewing workshop that Xiomara and María attend at Nazareth Student Center in El Salvador began teaching them how to make items that would be useful to sell in their communities. Items like skirts, dresses and blouses brought in income to be shared among all the mothers. But the sewing creativity didn’t stop with clothes. 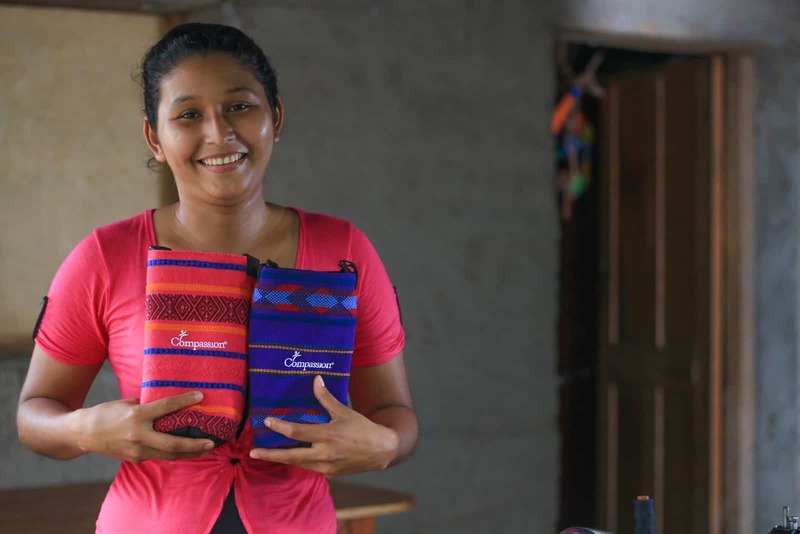 With their new skills, they began making unique water bottle holders for themselves and realized quickly that their community enjoyed them too. They now get orders to make up to 80 of these beautiful bags a month! María and the other mothers at Nazarene Student Center create these beautiful Compassion water bottle bags. Both Xiomara and María have husbands who work as farm laborers. Their monthly income was meager and it was difficult to provide for their new babies. “I’m happy to be part of the bottle holder workshop because I’m able to help my husband and sometimes he helps me too after his work day. Together, we earn around $40 monthly income. 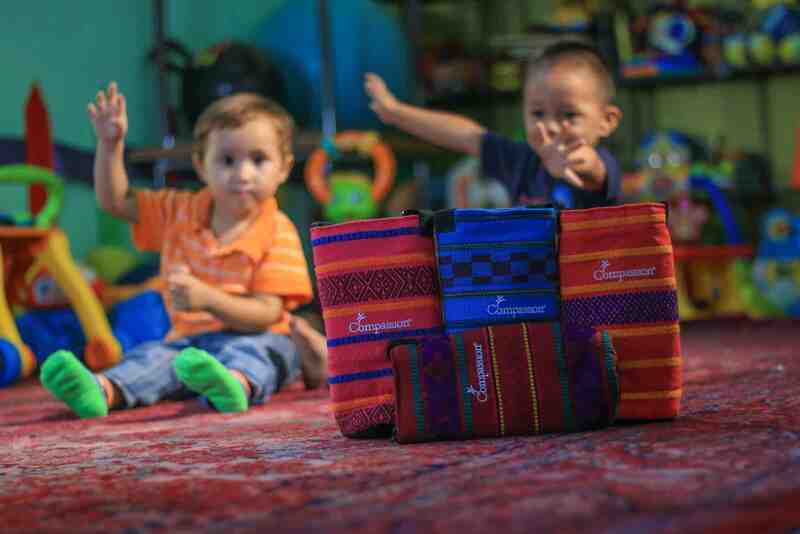 The best part of this workshop is that we can make the bottle holders at home so we can be close to our 2-year-old daughter Genesis,” said María. 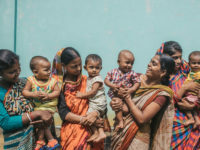 A healthy and thriving mother means a healthy and thriving child. That’s why we believe in equipping and empowering mothers with the resources and skills necessary to provide a better future for their baby. Invest in these strong women and their children’s futures this Giving Tuesday! Receive a FREE Compassion water bottle bag made by Xiomara and María and the other moms from Nazarene Student Center when you donate $100 or more. Prev Post:Top 5 People We’re Grateful For (Hint: One of Them Is You! )Next Post:QUIZ: What Do You Know About Diseases in the Developing World?